Lezyne's new Mega XL and C are its most refined GPS offerings yet, but they are affordable at just $200. Lezyne probably isn’t the first brand you think of when it comes to GPS head units. The California company is better known for its sleek, intuitive tools, pumps, and lights. Don’t be fooled, though. Lezyne’s new Mega head unit is on par with some of the bigger, more prolific players in the GPS game, and it is competitively priced at just $200. We have always liked Lezyne’s GPS units — they keep it simple, have great battery life, and do all the fundamentals like Strava live segments and automatic uploads to TrainingPeaks. The Mega keeps those good attributes but provides a richer display, compared to the often stark and blocky aesthetic of the Super or Mini head units. The Mega XL has a 240×400-pixel display, while the Mega C has a slightly smaller color display that is 240x320px. 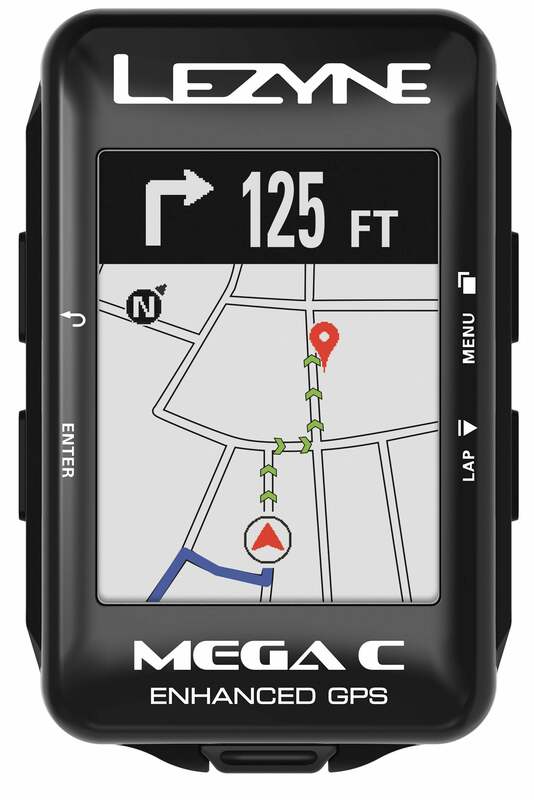 In terms of size, the Mega is slightly smaller than a Garmin Edge 1030, which is three times more expensive than the Lezyne computer. That said, the 1030 offers far more features, such as touchscreen, rider-to-rider communication, estimated VO2 Max and recovery time, as well as weather notifications. They’re comparable in terms of size, but not really apples-to-apples otherwise. The XL’s claimed battery life is a whopping 48 hours, while the C is said to run for 32 hours. Our first ride on the Mega XL was in Lezyne’s backyard of San Luis Obispo. Thankfully, it wasn’t so long that we were able to confirm that multi-day battery life. We did, however, have a chance to see its mapping capabilities, which have been improved in this latest generation of devices. For starters, both the Mega XL and C have much larger displays than other Lezyne head units, easier for quick checks on bumpy terrain. As is standard on most GPS devices, you can easily turn-by-turn directions and alerts. Plus, Lezyne has new offline navigation allows you to download maps for anywhere in the world and transfer them to the head unit via Lezyne’s GPS Root website or the Lezyne Ally GPS app. That app has been steadily improving, but it is still a bit rudimentary compared to Garmin’s Connect or Wahoo’s Elemnt app. For deep data or a super-sleek interface, Lezyne’s no-frills approach might not suit your preferences. It continues to offer Bluetooth connectivity for text and email alerts on the head unit, auto-syncing of rides, and settings to easily change data pages or input a training plan from TrainingPeaks or Today’s Plan. And there’s one final twist that sets the Mega apart — you can rotate it for a horizontal dashboard, similar to a Stages Dash. We rode it both ways and found that we preferred the sideways layout. The maps looked a bit more natural that way, and when the display showed speed, distance, and other stats, it felt a bit like a car’s dashboard.